1. Screw and barrel are made of 38CrMoAlA, inlet mouth treated with special alloy: very strong and long life. 2. Easy operation: it has automatic constant temperature control and stable performance. 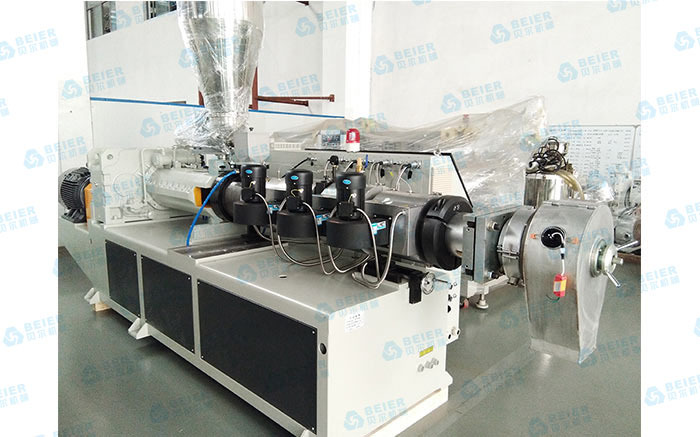 After adjusting well, 1 or 2 workers are enough to run this machine, to feed the materials and change pellet receiver. 3. Low cost in using after redesign: now this kind machine is more economic in electric power source and also water. In the long working life of this machine, it can save many sources in energy. 4. High output, long operating life and lower noise: it’s the ideal waste plastics regenerative granulator machine for nowadays.